By Sharon Yendevenge, YWCA of Papua New Guinea. 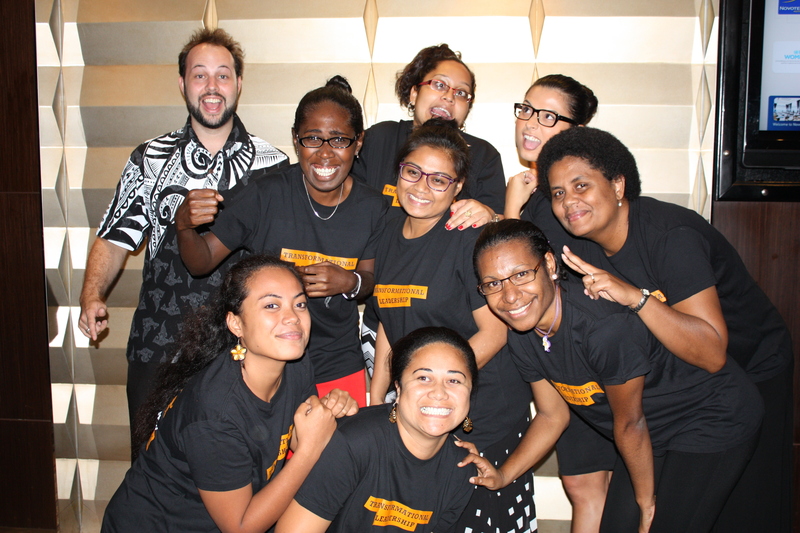 A small number of young women from the Pacific Islands gathered in Bangkok, Thailand from the 9th – 11th of November to attend the Young Women’s Pacific Consultation with participants from a number of Pacific Island countries form Papua New Guinea, Solomon Islands, Fiji, Tongs, Kiribati, Nauru and Pohnpei. Unfortunately Palau, Vanuatu and Marshall Islands didn’t make it due to Visa issues. The consultation meeting was led by the UN Women in partnership with Pacific Youth Council with amazing facilitators. The first day started with experiences in each country and what its like to be a young Pacific woman embracing change and being active in what you do, what are the things that you do best and how it affects other peoples life. It all ties in with understanding transformational leadership and what it’s all about. The first day went on with a full session on the first 16 Articles on CEDAW, understanding it and relating them to the Pacific context and what different cultures, customs and tradition in the Pacific hinders women in the Pacific Island countries in accessing their rights and being equal. It was an interesting and also a moving session for the group as personal experiences were shared and young women were able to express themselves relating to their personal experiences. The sessions went the next day relating to transformational leadership which reflects on how best one can use their skills, their space to embrace past, present and the future yet knowing being in the diversity all around and connecting the dots in bringing awareness and training to the target group they are working with or want to work with. It was somewhat another great day of sharing, exploring and being able to navigate and identify the challenges and look forward in tackling those issues by relating them to CEDAW and Beijing +20 Review and connecting all these dots. Through the meetings, we discussed the level of violence against women and girls, the need for more health services, comprehensive sexual education, friendly youth services, equal opportunities of employment, young women’s empowerment and youth participation within all levels and without discrimination. There is quite a big and strong voice and concern on Climate change since the Pacific Islands are evidently faced with issues associated with climate change. It is a very big concern in the Pacific because as young women we are concerned about what results in climate change and the impact that goes with it. We are concerned with the impact of climate change on young women’s health, the sickness that arises due to weather change, the drought, floods and disasters. Furthermore, women and girls are more vulnerable to violence during the displacement people caused by climate change. The lack of sexual reproductive health and rights and comprehensive sexual education is also a big concern. I believe that governments, decision makers and community leaders have to view the inclusion and involvement of women, young women and girls as very important for development. We are now looking forward to meet with all the other Asia/Pacific young women as we proceed into the Asia/Pacific CSO Forum of the Beijing+20 Regional Review. We as Pacific young women encourage more organisations to support young women’s participation in all levels and have seen that a preparation meeting such as this prior to the big events is very important for young women in caucusing and coming up with a strong and united voice in pushing our issues forward not only in the Pacific but in all regions and all around the world. Hi Sharon, I love that I found this post. I am trying to learn more about the issues that women in the Pacific Islands face, especially related to education and menstrual health. I would really like to email with you to learn more about this issue for women in Pacific Islands. Please feel free to email me. Thank you so much.